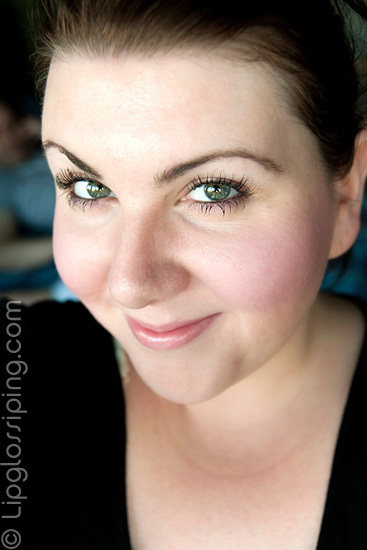 Illamasqua Sob is one of my favourite blushes… the creme texture is a delight and practically blends itself. The colour is a cool, frivolous candy pink and once on, it doesn’t budge. Not even in this heat! you look stunning hun! and that blush is sooo pretty! You look so pretty! And Illamasqua blushes are just the best aren’t they? We’re makeup twinnies! I want Dixie too! Your eyes are sooo pretty!! Your eyelashes look amazing in this pic! It’s super girly innit! Don’t buy yet! Wait for the amnesty! So pretty on you. Your lashes are amazing, too – very jealous – I just can’t get that kind of length! yeah love the eyelashes, I always hit the skin on my lower lashline when i tried to put mascara there or otherwise i put a big blob and it looks horrible! its horrible and rainy in Ireland so enjoy the weather! That blush is lovely! You look so pretty! so i leave the blogosphere for a few days, your lashes grow so much, they could touch the sky and there’s a reply button on each comment? whaat ? Haha, turn your back for a moment 😉 My lashes are getting some mega love atm! How cool is the new reply bit huh? Makes it 1000000x easier for me to respond! I’m so excited!